Just a selection of the very special Orandas on sale at Star Fisheries' Open Day on October 15. Surrey-based fancy goldfish specialist Star Fisheries is holding its first Open Day of the 2017 season on Sunday, October 15. There will be fish for sale on the day from China, Japan, Thailand, Hong Kong, Indonesia and the UK, including a vast selection of quality Higher Grade fish up to amazing Show Quality Grade fish, as well as some show award winning fish. Star Fisheries' Andy Green says: "There will be an extensive range of varieties and sizes with some fish never before seen in the UK. 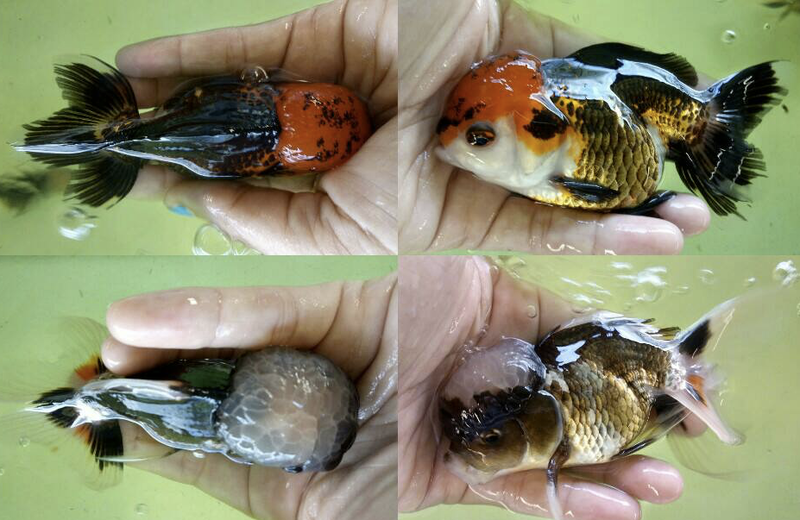 This promises to be the largest selection of quality fancy goldfish ever offered for sale outside Asia. "You will see fish that you may have only ever seen before on the internet or in books — you will have the opportunity to buy them on the day. We will also have a number of rare and one off fish which will be sold on a first come first served basis. "Please note that here will be no standard grade website fish offered for sale at the Open Day, all the fish will be better quality fish. You can still order the standard grade fish online for delivery." Star Fisheries will be open on the day from 10am-3pm. There is plenty of free parking available. Star Fisheries is located at 94a Benhill Road, Sutton, Surrey, SM1 3RX. Tel 0208 915 0455. Great day out for cichlid fans! There's a great line-up at the BCA event in October — and the chance to buy fish, too! If you love cichlids, make a date in your diary for Sunday, October 22, when the British Cichlid Association is holding a very special event at The Oak Hotel in Hockley Heath, Warwickshire. 'Best of British' features talks by some of the top names in the hobby: Mike Whitaker, Mark Evenden and Steven Chester. There will also be table sales at the event, with fish and dry goods for sale. Doors open at 9am. Entry costs £5 for members; £10 for non-members (the entry fee for non members includes a 12-month BCA membership). Tickets are available to purchase from the BCA website. The Oak Hotel is at 8640 Stratford Road, Hockley Heath, B94 5NW. Bristol Aquarist Society held its annual Open Show and Auction on Sunday September 3, at the new venue of Hengrove Community Centre in Fortfield Road, Bristol. WORDS AND PHOTOGRAPHY: DR DAVID FORD. Best in Show was a Metallic Fantail bred by BAS member Bob Jones. The Club has over 80 Classes of Goldfish with 10 Special Trophy Awards. Here is the Best in Show trophy being given to Bob Jones by Lifetime BAS Member Clive Weeks. The Bristol Aquarist Society is famous for their development of the Bristol Shubunkin with its long fins and blue background colour. This breed was well represented with young and adult classes plus teams of four. The Nationwide Open Shows and Auctions continue with the Northern Goldfish & Pondkeepers Show at St. Matthews Church Hall, Chester Road, Stretford, M32 8HF on Saturday, September 16. The final Open Show, where all four Goldfish cbs in Nationwide UK will compete is at Horsehay Village Hall, Bridge Road, Horsehay, Telford, TF4 2NF on Saturday, September 30. The Goldfish Bowl is holding a special marine-focused open evening on Thursday, September 14. The Magnificent Marines event will take place at the store in Magdalen Road, Oxford from 4pm until 9pm. Whether you’re already a marine hobbyist or thinking about taking the plunge, this event will have something for you. There will also be representatives in-store from Tropical Marine Centre, a highly-respected and well known brand known for their specialist marine equipment, water conditioners, foods and supplements as well as being the UK authorised resellers for worldwide recognised brands including Tropic Marin, Salifert, REEF, V2 and Geisemann. On the night, there will be talks about starting up a marine aquarium, how to improve your current set up and also a live demonstration on how to aquascape a saltwater tank. There will also be a chance for you to ask marine experts some questions one to one. There will be discounts on selected TMC products including an amazing price on some full marine set ups! The Goldfish Bowl has over 100 marine tanks, as well as a whole room dedicated to LPS, SPS and soft corals. The store has recently upgraded the lights in the coral room, making it the proud owner of no less than nine of the stunning Geisemann Vervves. These state of the art lights mimic the lunar cycle and promote excellent coral growth. For tropical and coldwater fishkeepers, there will be other special offers across the entire store as well as a very special one-off discount on ALL livestock. Helpful and knowledgeable staff will, of course, be on hand to discuss any aquatics-related questions or topics with you. This event follows the very popular shrimp and aquascaping open evening at The Goldfish Bowl, which took place last October. Join them for what promises to be another fun evening! The store is expecting big numbers so attendees are being asked to register for a place by visiting The Goldfish Bowl website. Hounslow Urban Farm in Feltham, Middlesex will once again host the 31st Festival of Fishkeeping over the weekend of October 7–8, 2017. Hounslow Urban Farm, one of the UK’s largest community farms, is expert at giving local children a real life experience of a working farm and hosting really fantastic events. So, during the weekend , families will be able to enjoy both the interactive contact with domestic farm animals that the Farm offers, including rare and unusual breeds, as well as the Festival of Fishkeeping — all for the cost of standard entry to the farm! The Festival of Fishkeeping is the UK’s biggest display and competition of rare breed, tropical fish and reptiles. It’s a unique and fantastic opportunity to get up close to exotic, weird and wonderful fish and reptiles that can’t be seen elsewhere, all in one place at one time. You certainly don’t have to be nuts about fish to appreciate the splendour of the fish on display, which include Japanese Koi, Discus, killifish, Jinchu Kai and many more, plus the chance to buy some quality fish. If the weather is inclement, the undercover, fully-heated environment will ensure comfortable viewing of the very best quality of fish and reptiles in full adult size and prime condition, brought together by fish breeders and hobbyists from around the country. Supporting Companies this year include Rolf C Hagen, Fish Science, Simply Koi, LBA Lisa Bradshaw, Devotedly Discus — and those amazing stingrays will be back this year, along with the fabulous flowerhorns and Betta splendens. 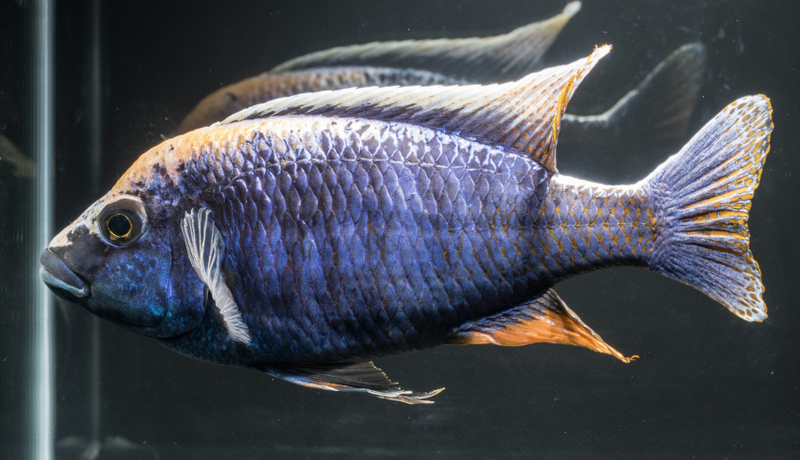 In addition to the regular fish competitions, there will be Discus and cichlid displays plus Societies’ information Stands. This is the last chance for exhibitors to show off their fishes and plants in the FBAS Show season and for the public to be attracted into the hobby by viewing the very best in the aquatic world. The winner of the 2016 British Open championship. Fishes gaining ‘Best in Shows’ from any Open Show in 2017 qualify for this end-of-the-year ‘Head-to-Head’ final shootout. Relying on the ‘Home Game’ advantage’ theory, winners of the Society nominated Class have to do it all again in this popular Final Round. This is the BIG ONE! Whichever fish wins, it’s ‘Simply the Best.’ Qualifiers come from successful 2017 Championship Trophy Class winners. Favourite twosomes. Or fishkeeping’s equivalent of ‘Mr & Mrs’. 2017 Pairs Classes winners qualify. Some see these magnificent fish as the ‘Rolls Royces’ of the aquatic world. Do you envy the Judges’ job deciding the winner from such a collection? ‘Big is Beautiful’ so they say. Apart from admiring their beauty, spare a thought on the effort required to get fish into this condition and getting them to the Show as well! LJB Aquatics will be putting on a big display of some awesome fish that just can’t be missed. Along with sensational stingrays and flowerhorns , the LJB stand will include stunning and vibrant Betta splendens, with every tail type and colour you can imagine, all of a very high standard — with plenty of fish for sale! It’s surprising what you can pick up (at bargain prices too!) in this hobbyists-supported feature. To reserve tank-space for your sales (which you must supervise personally), contact Paul Corbett as soon as possible on 01983 522448 or 07926 354669. FURNISHED & BREEDERS AQUARIUMS DISPLAY presented by Hounslow & D.A.S. Activities and events at the farm will include the best in family entertainment including children’s animal encounters, bouncy castle, bird of prey displays, pig and ferret racing, animal feeding, children’s play zones, face painting, art and craft and animal games competitions. This year the farm has also installed go-carts, paddleboats, a paddling pool and sand pits. Just set your satnav to Faggs Road, Feltham, Middlesex TW14 0LZ. The next stage in the Nationwide Open Shows of the Goldfish Societies of the UK was held in Redby Community Centre, Sunderland on Sunday, July 16, when the North East Goldfish Society (NEGS) saw 65 Goldfish entries in its annual Open Show, reports Dr David Ford. The auction of locally bred Goldfish varieties saw nine lots, all sold at bargain prices. Five judges from the four Goldfish Societies of the UK assessed the Goldfish to their own Nationwide Standards. ￼Each of the 26 Classes had a First (and second and third). ￼This Fantail Oranda won a First. Saturday, September 30: The Nationwide Open Show (with all the UK Societies) at The Horsehay Village Hall, Bridge Road, Horsehay, Telford TF4 2NF. The Yorkshire Association of Aquarist Societies annual Open Show and Auction at The Village Hall, Stockton on the Forest, took place on Sunday, July 2 2017. This Distichodus teugelsi took the Fish of Fishes award. It is one of nine wild-caught species owned by Bede Kerrigan of STAMPS (the South Tyneside Aquatic & Marine Society) — unfortunately all of them are females. The YAAS show was once YAF (the Yorkshire Aquarist Festival) and so retains the ‘Fish of Fishes’ award. Dating from 1975, the grand trophy has been awarded ever since. There were 10 entries in the Fish of Fishes competition — fish that have already won a First in the YAAS clubs shows. The other YAF annual award is the Best Exhibit. This is for pairs of fish that have achieved 85 points or more in previous shows. This year there was only four entries but the winner was a pair of South American Banjo catfishes, Bunocephalus larai, by Roy Chapman of Castleford Aquarist Society. This pair of fishes are regular winners in the Pairs class and have featured on the PFK website over several years. In the Open Show there were 230 entries, assessed by four YAAS Judges, with the Best in Show being awarded to Mr and Mrs Nelson of Ashby AS for their Metriaclima lombardoi. Shirley Nelson also won the Best Exhibit with a pair of Rainbow shiners, Notropis chrosomus. These awards mean that Mr and Mrs Nelson have passed their 1000th award for YAAS firsts. Presentations will be at the next YAAS Show. A 50-strong audience attended the auction, which lasted most of the afternoon. The next Open Show and Auction will be ‘Friends of Yorkshire’, Sunday, August 13, also at Stockton on the Forest (postcode for your sat nav is YO32 9UR). Make tracks to see some top class Guppies! This was the Best in Show at the 4th Leg of the FGUK (Fancy Guppy League of the UK). It's owned by member Henry Smith, and it's a Viennese double swordtail variety. The FGUK hold their mini-shows around the country using facilities of other Fish Shows. This leg saw 41 entries, and was held alongside the Association of Midland Goldfish Keepers annual Open Show in Coventry. Sheaf Valley Aquarist Society Open Show, The Rockingham Centre, Sheffield Road, Hoyland Common, Barnsley S74 0PY on Sunday, September 24, 2017. Nationwide Goldfish Open Show, Horsehay Village Hall, Bridge Road, Horsehay, Telford TF4 2NF on Saturday, September 30, 2017. And the finale will take place at the FGUK Convention, with the International Guppy Show at the Holiday Inn Express, Rockingham Road, Kettering NN14 1UD, on Saturday and Sunday, October 7–8, 2017. This event sees lectures, competitions, and an auction of Guppies and other livebearers. Dean Roberts' Pearlscale goldfish won Best in Show. This gorgeous Pearlscale goldfish was the winner at the AMGK (Association of Midland Goldfish Keepers) in Coventry at its Open Show on Saturday, June 24, 2017. This club starts the season of shows by the Nationwide Goldfish Societies of the UK. The Nationwide Clubs also include NGPS (Northern Goldfish & Pondkeepers Society), BAS (Bristol Aquarist Society) and NEGS (North East Goldfish Society). 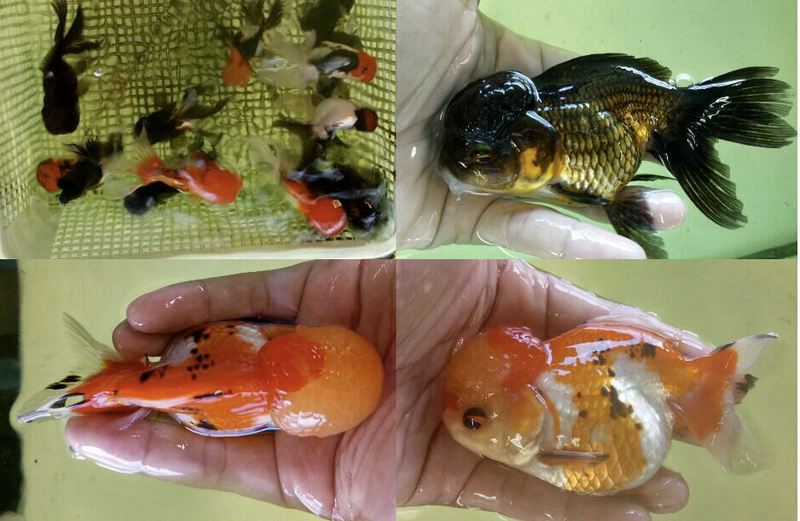 There are hundreds of pedigree varieties of UK-bred goldfish on show and each club holds an auction where the goldfish can be bought at often low prices. The auction saw 66 lots of different goldfish varieties being sold to over 40 visitors. There was a grand raffle and hot and cold food available all day — as at all the Nationwide Shows. If you are a goldfish lover, try to attend at least one of their shows. Sunday, July 16: NEGS at Redby Community Centre, Fulwell Road, Sunderland, Tyne & Wear SR6 9QU. Saturday, September 30: Nationwide (with all the above Societies) at The Horsehay Village Hall, Bridge Road, Horsehay, Telford TF4 2NF.